On September 23, 2014 Dr. Kelly Baker presented her “’They’re Coming to Get You, Barbara!’: Zombie Apocalypses in American Religions” as the second annual Day Lecture. The Day Lecture was generously established by friends and family of the late Zach Day, a graduate of our Department, to honor his memory, and is now an annual event thanks to the Zachary Daniel Day Memorial Support Fund. 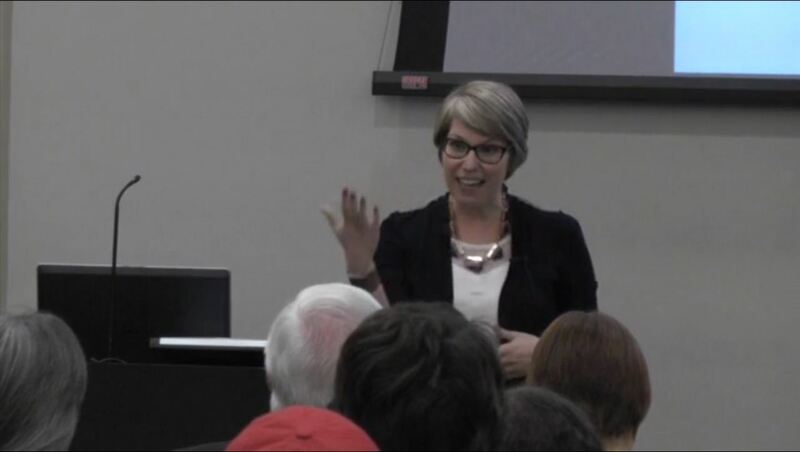 It’s been a few months, but the video of the lecture is now up and running, so check it out! Also, if you missed our interviews with Dr. Baker, you can watch part one here, and part two here. The Second Annual Day Lecture 2014: Dr. Kelly Baker from UA Religious Studies. This entry was posted in Public Events, Relevance of Humanities, Religion in Culture and tagged #Day2014, Day Lecture, Kelly Baker, Zombies by admin. Bookmark the permalink.